Original Tall Boot Bag is rated 5.0 out of 5 by 2. 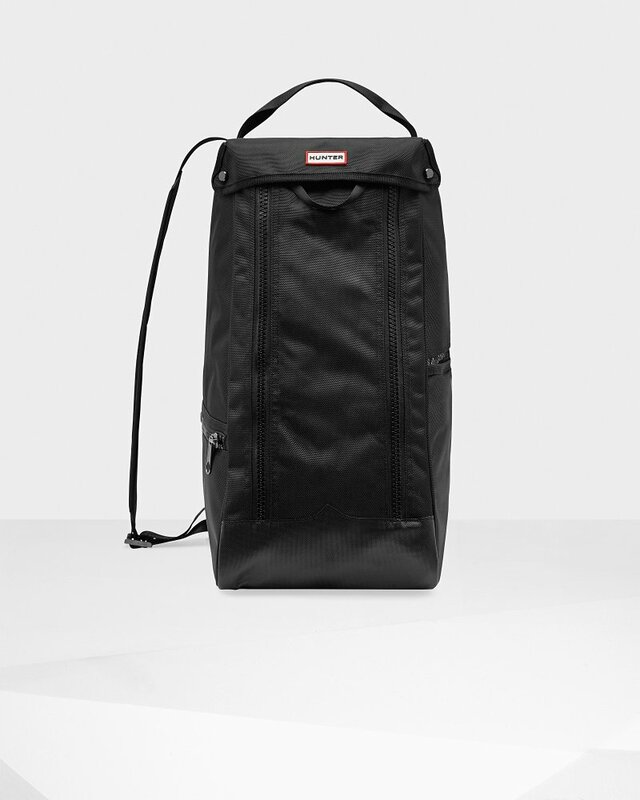 A large boot bag crafted from durable nylon. Designed to carry tall Hunter boots, the bag features a wide double zip opening, an exterior slip pocket, zip pocket and elastic pockets for care products. A practical design, a top handle allows it to be easily carried. Rated 5 out of 5 by Newman from Excellent accessory! This is great for when my Hunters get wet or muddy on walks with my dog, and then I need to transport them that way. Once home the boots are cleaned up and the boot bag goes into the washing machine (on gentle cycle).